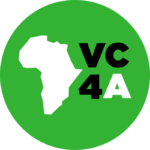 VC4A strengthens Africa’s startup community by connecting entrepreneurs creating innovative and scalable businesses with the knowledge, network and funding they require to succeed. Entrepreneurs have access to the VC4A Startup Academy, mentorship opportunities and the ability to raise capital. Program partners engage members with their entrepreneurship programs, competitions and services. Investors are able to discover great companies, research opportunities and follow up with founders directly. Our inspiration comes from the entrepreneurs bold enough to start great companies that have the potential to change the world. We believe entrepreneurship is a key driver for the continent’s continued development. Entrepreneurship should be a main driver in Africa’s economic growth, in particular the high growth high potential ventures working to develop important innovations and disruptive new business models. This breed of company offers a significant source of employment and provides an important income stream for future generations. The entrepreneurs VC4A exists to support contribute up to two thirds of national GDP and provide the foundation for a stable middle class. They help form strong communities and are a powerful force for development.